Summer is peak season for tick bites, and you'll want to do everything possible to avoid them. That's because ticks—tiny, eight-legged bloodsuckers—can spread more than a dozen different diseases, including serious ones. What's more, the diseases they spread are on the rise, federal health officials report. The most common one is Lyme disease, which can cause fever, fatigue and sore joints. Left untreated, it can even cause nerve problems, arthritis and other disorders. Each year, more than 30,000 cases are reported nationwide. But that's likely a conservative estimate, since many cases aren't reported. Altogether, as many as 300,000 Americans get Lyme disease every year, the Centers for Disease Control and Prevention estimates. Steer clear of wooded and brushy areas with tall grass and leaf litter. Ticks often lurk in spots like these. And stick to the center of hiking trails. Cover up your skin by wearing long pants, long-sleeved shirts and shoes that cover your whole foot. Tuck pants into shoes or socks and tuck shirts into pants. Wear a hat for extra protection. 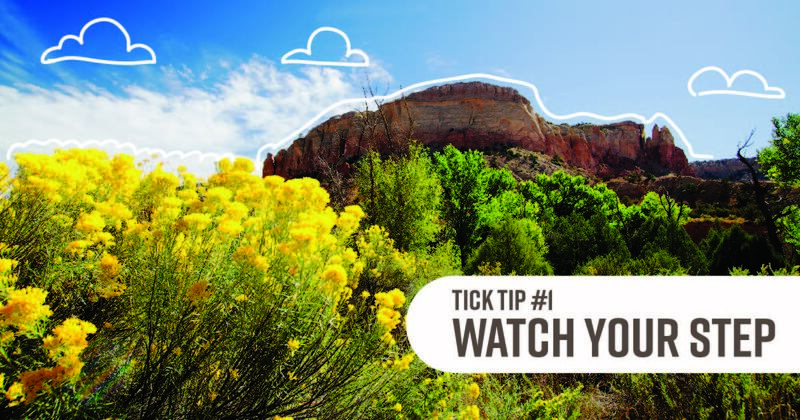 Opt for light colored clothing—it makes ticks easier to see. 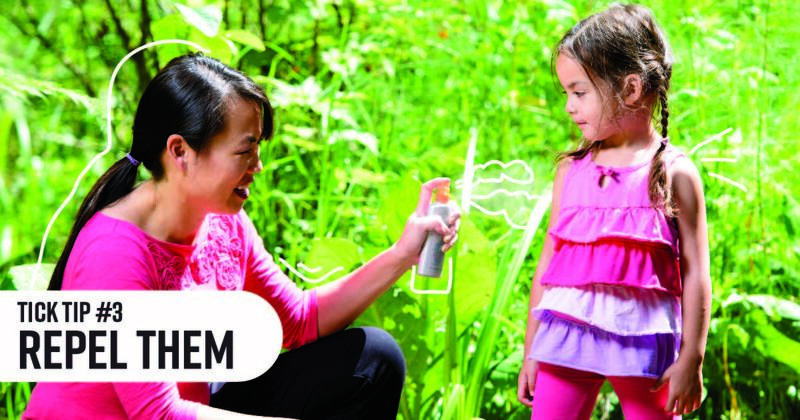 Spray an insect repellent with at least 20 percent DEET on uncovered skin and clothes. But use special care with kids. Apply it on little ones yourself—and avoid their hands, eyes and mouths. Never use insect repellent on babies younger than 2 months. 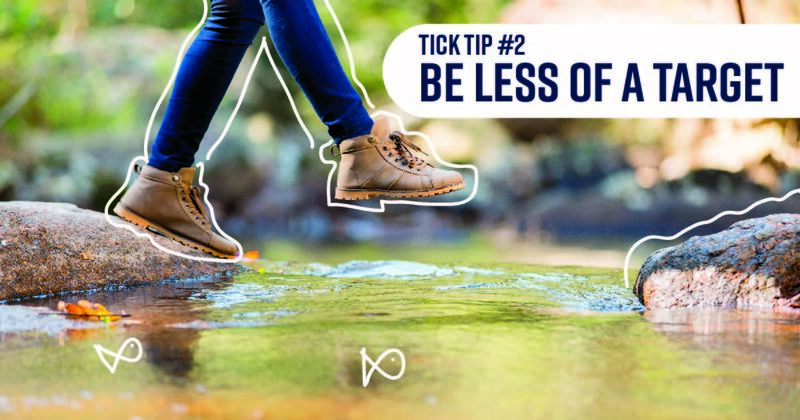 Showering shortly after you've been outside can help remove any ticks that might be clinging to you. 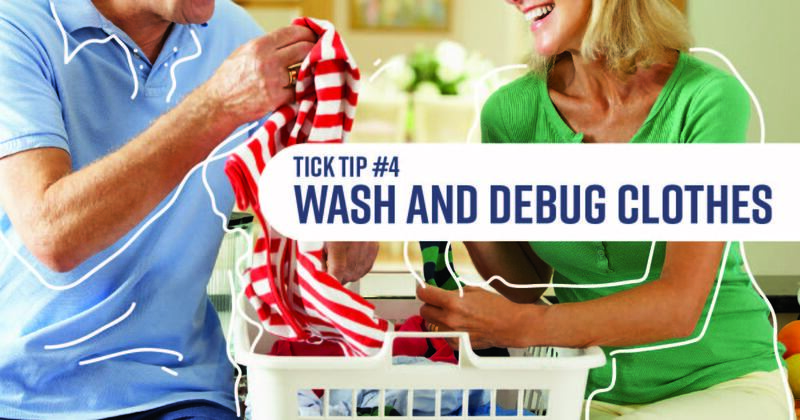 Tumbling clothes on high heat can kill ticks that have hitchhiked on them. Add more time for damp clothes. Make it a habit after coming inside from areas tick favor—including your backyard—to examine your entire body. 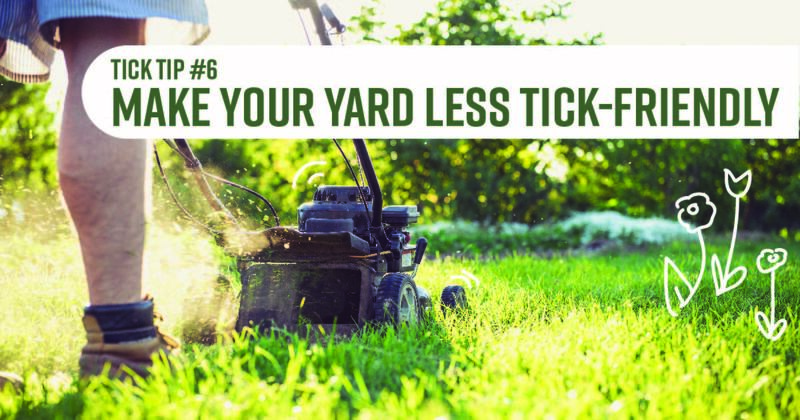 If you spot a tick, remove it right away. 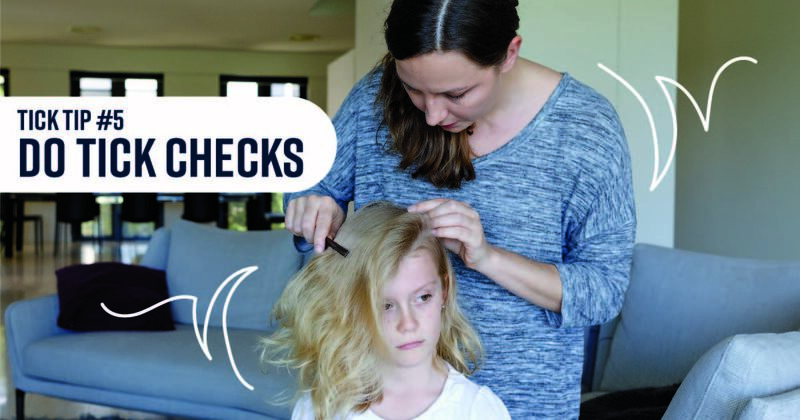 You'll lower your risk of getting sick if an infected tick bit you. Keep grass trimmed and clear away brush and leaves. How do you remove a tick? Just follow the instructions in this infographic.